A spacious and stable four-season tunnel tent with full height in the inner tent and the main vestibule. 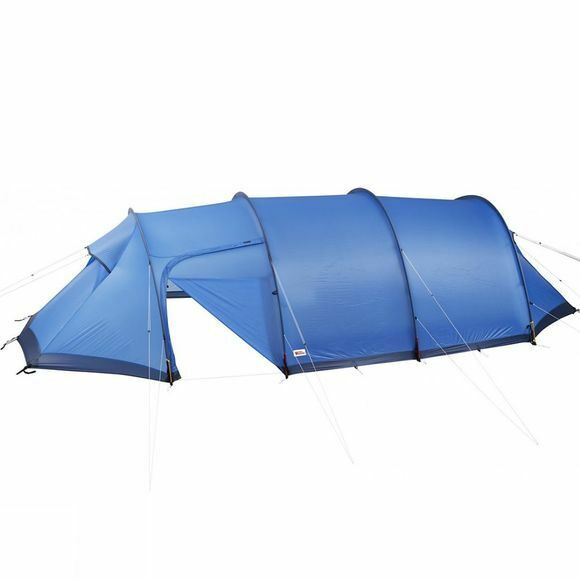 This makes tent life extra comfortable and makes it easier to endure long days inside. 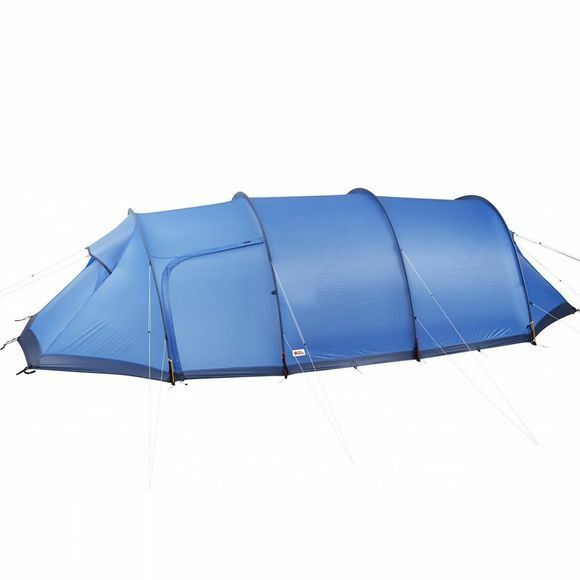 The Abisko Endurance 4 Tent is a good choice for those who want a low-weight but still strong and reliable tent, for all-season use in all conditions but the most extreme. The main vestibule has plenty of room for storing gear and cooking. The entrance is on the side making it easy to use the space well. A second vestibule at the foot of the tent gives you even more room to store gear and makes it easier to get in and out when there are several of you. There is a clothes line in the main vestibule and inner tent, which also has several mesh pockets for clothing and small items.